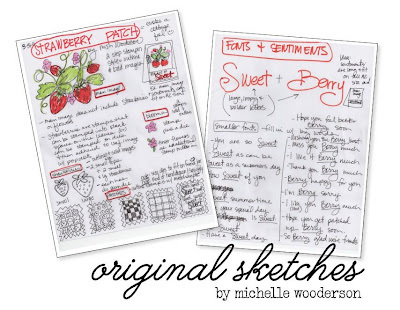 Today Nichole Heady is introducing a new set for Papertrey Ink that she designed from my concept sketches. The set is called Strawberry Patch and it's packed with sweet images, sentiments + there are fun dies that coordinate with each little image. 1. Stamping the images with ink to use as a line image for backgrounds. 2. Stamping the images and then coloring with Copic markers or your choice of art medium. 3. Stamping the images and then "2 step stamping" the strawberries, leaves and flowers with solid images. 4. Die cutting the strawberries, leaves and flowers then color...or die cut using patterned paper, or fabric, felt, etc. 5. Any combination of the above. Oodles of possibilities. Today I have a little gift idea to show you using simple tags, basic stamping of the line images + added a popped up die cut strawberry. The upcoming month of May finds me needing lots of gift ideas for birthdays, Mother's Day, end of the year teacher gifts, etc. There are tons of bath and body type products on the market with strawberry scents that make the sweetest little gifts. 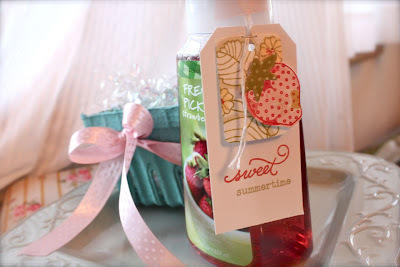 I chose this hand soap from Bath & Body that has fresh picked strawberries on the packaging. I made a simple tag by stamping the largest line image from Strawberry Patch onto a Rectangle Hang Tag. I outlined the images with an Ivory Copic Marker. Very clean, simple & fast. Next I used the largest strawberry die and stem die to die cut some Crate Paper patterned paper. I popped this up on the small tag then stapled the tag to a Medium White Parcel Tag. I used Pure Poppy and Chartreuse ink to stamp the sentiments. 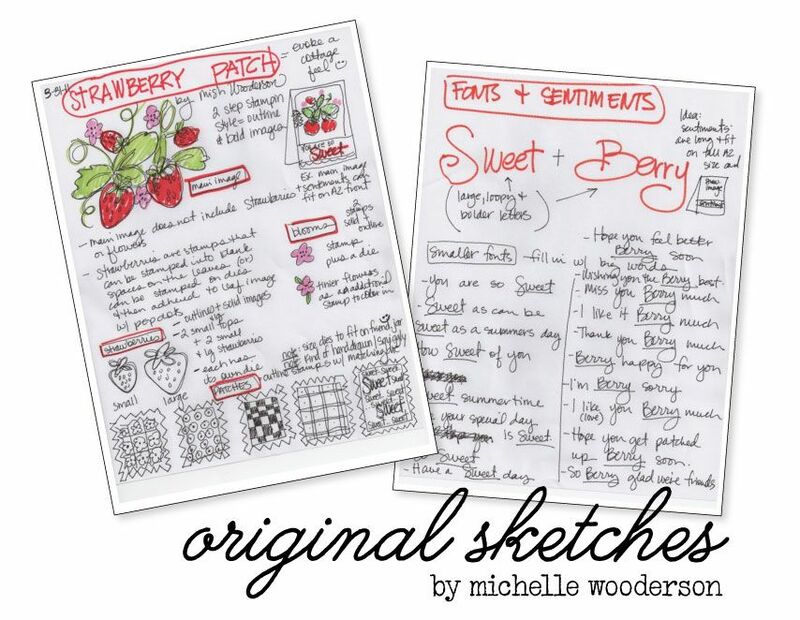 I love the combination of the loopy cursive and the vintage typewriter font that Nichole chose. I sent her some font samples along with my sketches and she picked the cream of the crop, I think. 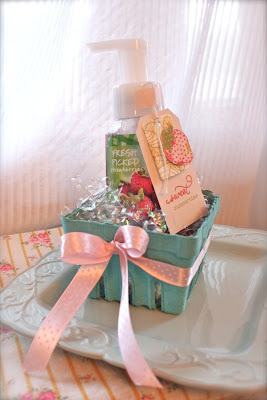 For the rest of my gift packaging I attached the tag to the soap bottle with a simple strip of pink Washi tape then tucked it all inside an aqua berry basket filled with iridescent scrunchy filler. I tied PTI Sweet Blush around the basket for a finishing touch. I hope you'll enjoy Strawberry Patch and all the fun accessories. 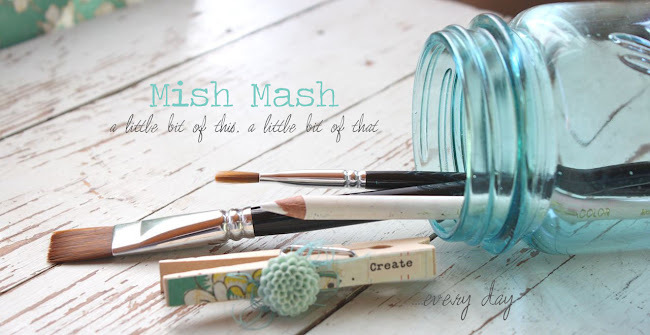 I'll have more projects and inspiration here on the blog all month long. This week we have 3 track meets + I'm one of only 3 parents that volunteered to make cookies and work the concession at one of the track meets. I have cookies in the oven as I type this. Plus we have tornado watches already issued for Friday/Saturday...my anxiety is already creeping in. So forgive me if I'm absent for the PTI countdown week but you can be sure that I'll have more fun Strawberry Patch goodies for you all month long. 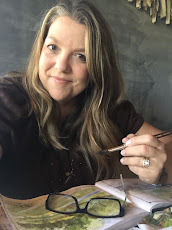 Be sure to stop by Nichole's blog for her introduction to Strawberry Patch + she has links for the PTI Design Team's Group Posts.....all featuring goodies from Strawberry Patch. How about a little Pinterest inspiration too? Since I'm knee deep in cookie baking I'll share a fun recipe I'd like to try called Strawberry Shortcake Cookies. My Pinterest link for this recipe is here. Okay, timer's a dingin' so I gotta run. Enjoy! You're absolutely very sweet person, Michelle. I love very much Strawberry Patch collection. They are so cute. What I like most are sentiments & basket die. Something sweet are on the way..
Oh Michelle! You did it again. I love all your ideas. Michelle, you continue to blow me over with your creative ingenuity! This strawberry set with the basket die is absolutely the cutest thing I've seen since I started stamping nearly 20 years ago... I hope you stay with PTI for a long time to come. Congratulation on your design. It's wonderful. I'm absolutely in *love* with the Strawberry patch set and all the extras! What a fabulous idea! I've already been to Bath & Body Works today to pick up some strawberry hand soap :)! Simply adorable....sweet enough to eat. Love how you used this cute set. Love love it! Strawberries are my favorite!! Looking forwards to playing with this set!! I am so happy you are teaming up with Nicole to design PTI stamp sets again. I was over the moon when I say the announcement in the PTI countdown. I love the set! Cannot wait to get it and to see your future projects with it. Love your stamp set and the strawberry shortcake looks v.yummy. Just wanted to say how excited I am about your strawberry and sentiment sets. Your sets are always a hit with me. i love your cranberry lime coolers. i will make some just for myself sometimes! delish! Freckled Fawn Prize Drawing.....We have a winner! Project Life Prize Winner Announced!